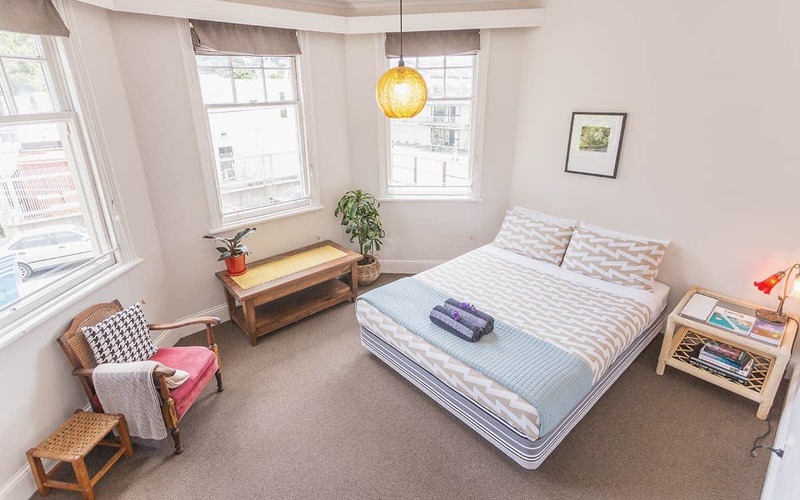 The Dwellington Hostel is a perfect place to unwind after a day in the city. The clean lines, modern décor and open plan communal living spaces, give it an atmosphere that is the epitome of fun. 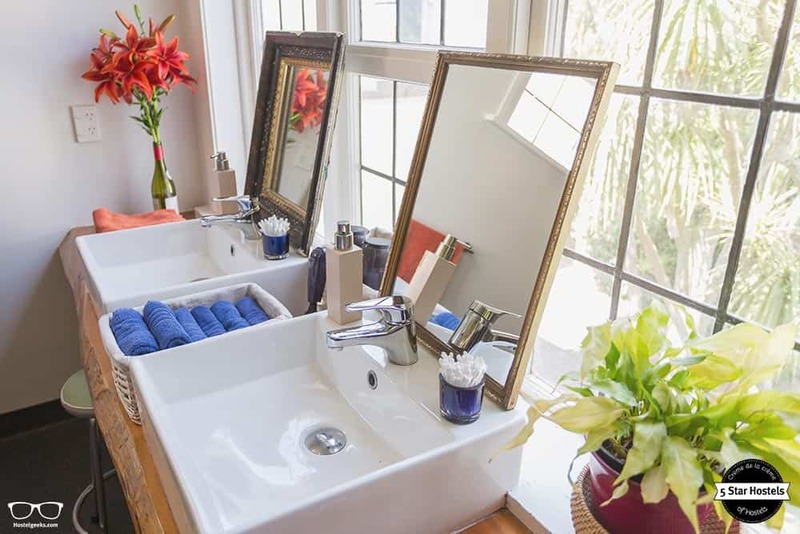 With its welcoming 'home-away-from-home' atmosphere that greets you as soon as you walk in, you might not want to leave. How to book The Dwellington? You just found our #1 recommendation for best hostels in Wellington, New Zealand. Genuinely, The Dwellington is the accommodation we recommend to our friends, family, and to you! You will like it! Planning to stay at The Dwellington? Please use the links provided above. 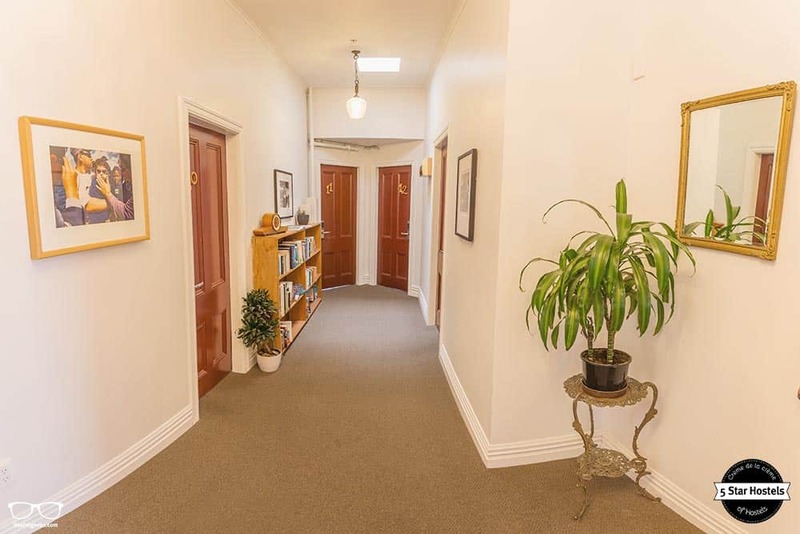 The Dwellington is located in the beautiful, historical suburb of Thorndon. It is a minute walk to the supermarket, a ten-minute walk to the bus depot and train station. As well as this, there is the offer of the free shuttle services to the ferry terminal. The Dwellington Hostel makes getting around a doddle. Thinking about staying in Wellington? 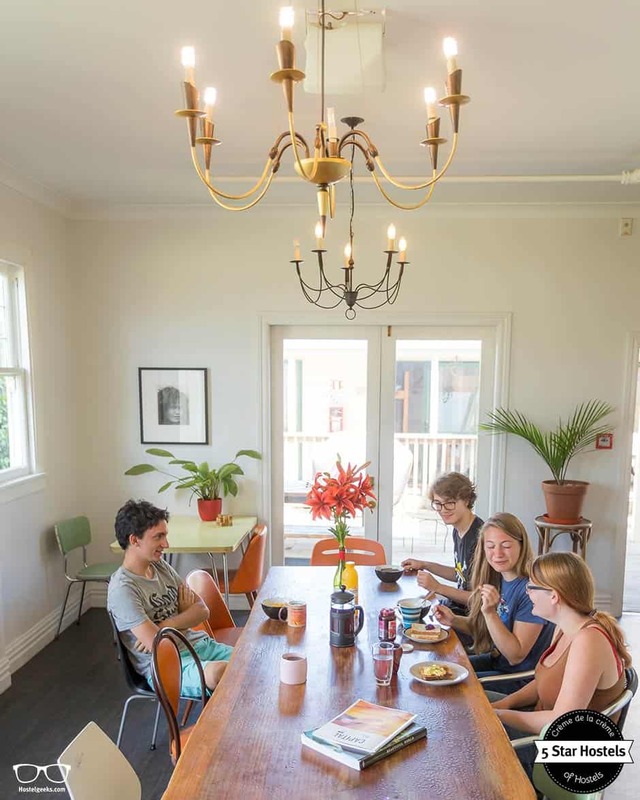 Let us tell you, The Dwellington hostel is where it’s at! 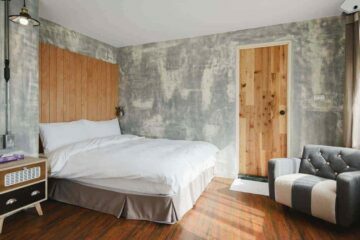 This effortlessly-cool city hostel really does have it all. Not only is it a perfect escape from Wellington’s windy winter, but in summer this place is all about the outdoors, with bbq’s, live music and being right next door to the third oldest tennis court in the world, it’s ideally situated to practice our serve. Find all 5 Star Hostels worldwide with Hostelgeeks. 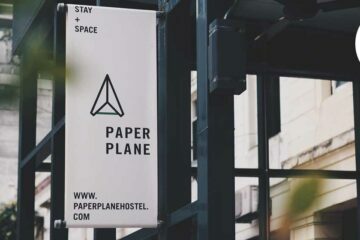 This charming hostel casts a spell over you, from the hustle and bustle coming from the bars to the markets and the never-ending list of festivals such as the jazz, arts, ballet, food and beer. Wellington knows how to have a social life, with exhibitions, indoor and outdoor sports (yes, rugby really is a religion over here) to Winetopia and The Sky Show (Maori New Year celebration on the 7th of July). Wellington has a jammed packed life, there is literally hundreds of things to 365 days a year. Don’t be fooled, just because there’s loads to do in Welly this does not mean that she is constantly hungover. On the contrary, the day after an event, Wellington is still as bright and as breezy as ever, as are the people that call Wellington home. Unlike the reputation of most capital cities, the people are laidback and easy going, making this capital a unique experience for any traveller. Our friend Amy visited The Dwellington, the best hostel in Wellington. This is her genuine review. Follower her footsteps and see what makes this hostel stand out. 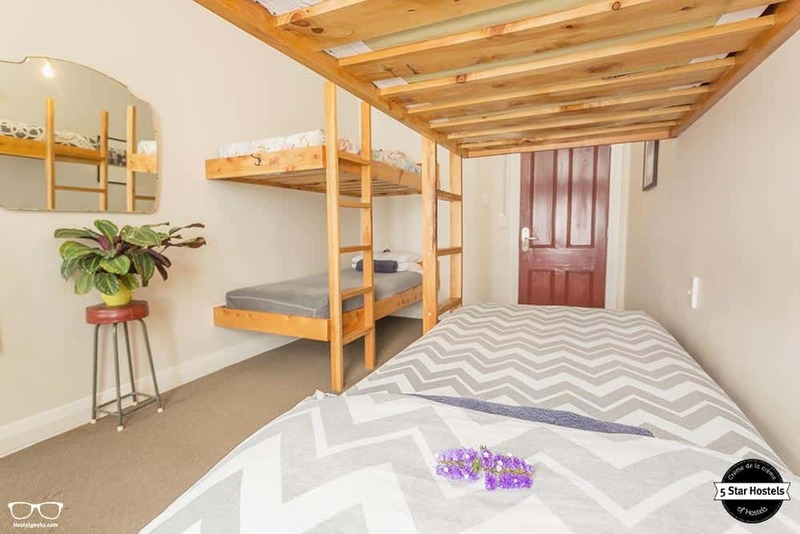 The Dwellington is not the cheapest hostel in Wellington, but let’s clear this up. Whilst I have been in Wellington I have stayed in 3 hostels. I had to move out of the first one for hygiene reasons and at the second hostel the mattress was so thin I could feel the metal frame underneath. No wonder, when looking for the best hostels in Wellington, you will come across The Dwellington soon. I arrived at The Dwellington with little to no expectation and what a treat I was in for. Unlike the previous hostels, I was surprised to find that The Dwellington hostel has no hidden costs. there is no cap on Wi-Fi usage (which is really common in Wellington). 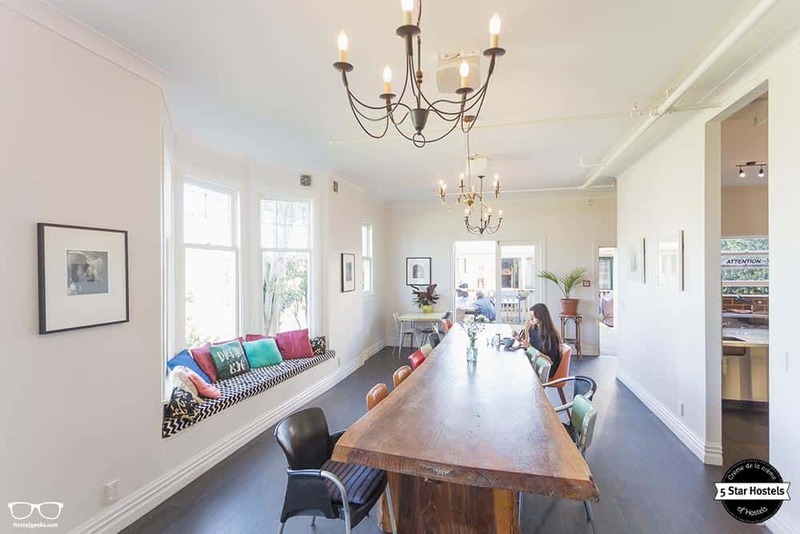 Read: 49 Details that makes a hostel stand out. The cleanliness of this hostel rival that of a 5 Star Hotel. 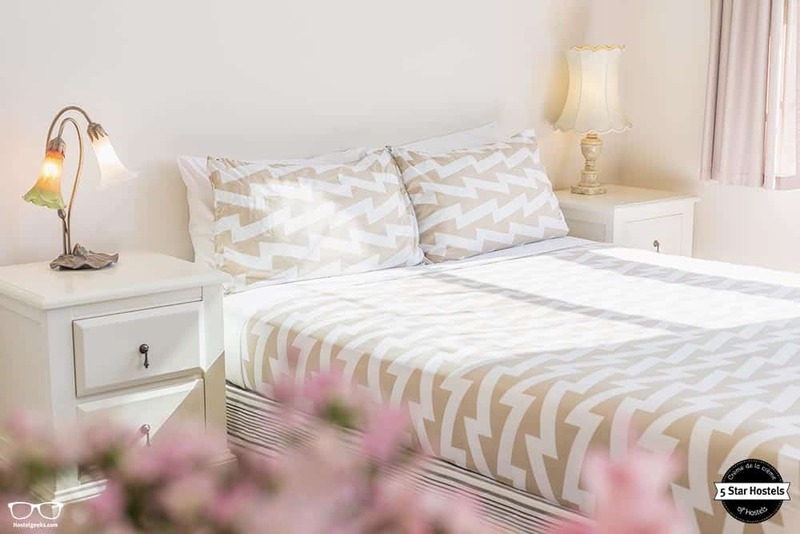 The devil is in the detail and this hostel is all about the details, from the fresh crisp linen to the complimentary breakfast and hot drinks, to the free shuttle service to the ferry terminals and the endless recommendations as to what’s on in Wellington that evening. The Dwellington has it covered; this place oozes 5 Star traits. The joy of Wellington is that nowhere is too far, it’s a capital with everything you need within walking distance. What about The Dwellington parking? The Dwellington is easily accessible by both public and private transport. Those who are driving to The Dwellington, the hostel has parking directly outside of the property and it is less than a 5 minute drive from the motorway. so no need to worry about your rental car. Wellington’s public transport is second to none and is reasonable priced especially for those whose backpackers’ budget is a little tight. one 5 bedded female only dorm. Within this hostel there are ten bathrooms and showers – none of which are en-suite. Most of the dormitories have fitted reading lights and USB sockets (the hostel is currently rolling this out). All of the rooms are equipped with multiple plug sockets. The bunkbeds are made of wood – so you need not worry about the metal frames! 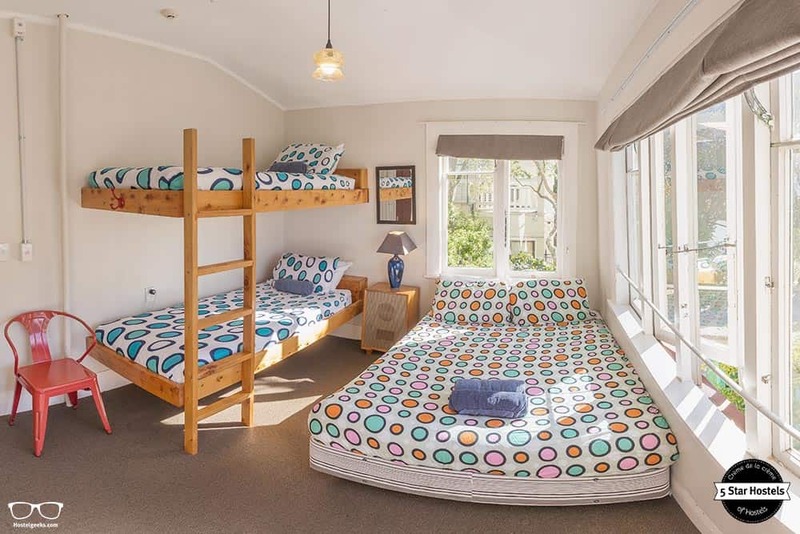 In fact, the bunkbeds were custom made by The Dwellington’s owner who is currently in the process of designing a privacy screen (a wooden version of a curtain). The Dwellington’s location is perfect – in the beautiful, historical suburb of Thorndon. The backpacker’s area in Wellington. It is a 1-minute walk to the supermarket, a 10-minute walk to the bus depot and train station. As well as this, there is the offer of the free shuttle services to the ferry terminal, this hostel makes getting around a doddle. This area offers some of the most diverse architecture this city has to offer. It is a melting pot of old and new from the timber built Old St. Paul’s church (built in 1866) to the Beehive Parliament building (built in 1981). This mix of era’s and times-gone-by only add to the locations charm. There is a really good walking app that I would highly recommend and it’s free! ‘Welly Walks’ has a 2 hour commentary guide on the suburb of Thorndon, well worth it I assure you. There is also the most tremendous fish and chip shop, 5 minutes from the hostel and between the hours of 2pm to 4pm does half priced chips and has a huge selection of fish. You can chose how it is cooked and which batter you would like. 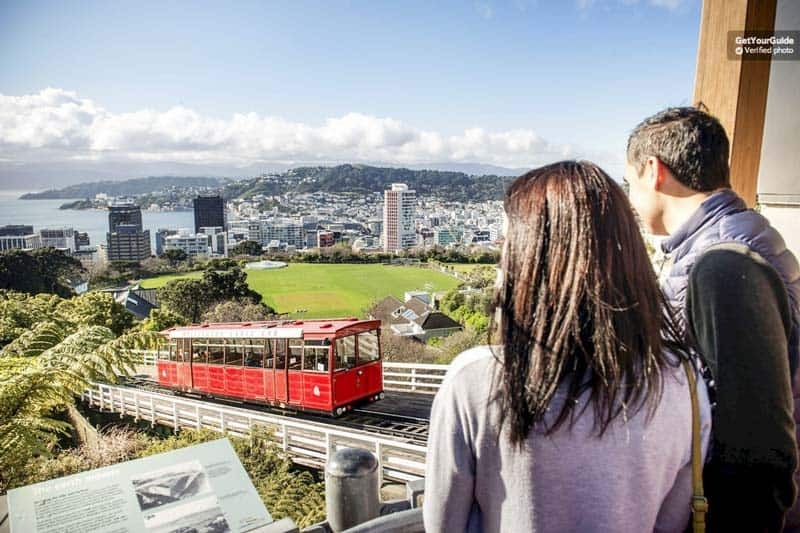 There are other landmarks that are close by the hostel and most are free of charge except for the cable car which is currently $4 one way, it is worth getting the cable up, seeing Wellington from a beautiful vantage point then walking back down and through the Botanical Gardens. Wellington certainly makes the most of the outdoor space. Wellington’s iconic waterfront and the Westpac stadium (commonly known as ‘The cake tin’ by locals) are easily accessible from The Dwellington. I highly recommend renting an electric bicycle and going along the waterfront Wellington has some serious hills, so unless you are an experienced cyclist rent the electric one (your thighs will thank me!). The easiest and cheapest ways to get into the city is by bus or by walking. There are numerous buses that stop on Manners Streets or other central streets in Wellington. The website for bus timetables is www.metlink.org.nz. Also Metlink have an app that you can download and there is a great customer service desk in the train station. Next door to Manners Street is Cuba Street with a huge selection of restaurants, bars, clubs and shops. This street will satisfy anyone’s appetite whether its vegan, halal or gluten free you are after or for everything in between whatever your budget. Nearby Leeds Street has a chocolate factory, a peanut butter factory (that serves it directly to you), bars and a bakery. Newtown is a very famous suburb as it has the biggest music and street fair in New Zealand. It is held at the beginning of March, the fair is called “Newtown Fair”. With approximately 500 stalls, 140 of them being food stalls, with a variety of musicians playing on numerous stages and with 80,000 people visiting it over a particular weekend, makes it one big party. To walk from the hostel into the city centre takes between 20 to 30 minutes depending on how long your stride is. There are multiple coffee shops and restaurants along the way which is probably another reason why it takes me 25 minutes to get into the centre as I get terrible distracted by cake. Who stays at The Dwellington? The Dwellington is a blend of comfy, fun and sociable all rolled into one both the staff and guests get amongst it. 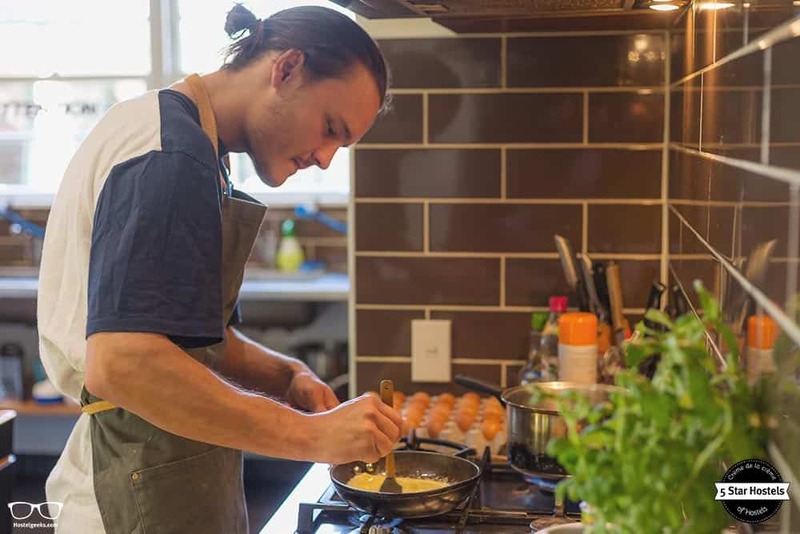 On Thursdays and Sundays guests are invited to show off their music skills in the open plan kitchen diner, as well as weekly movie/Netflix nights. It has recently had Sky sports installed, so guests could watch the World Cup footy at all hours. Everyone say “hi” and there’s a great mix of nationalities. Guests and staff are on the same wavelength easy going, courtesy and social, the staff are super friendly. After shift, they’ll grab a beer and chat with you or they organise events like zorb football on the weekends. 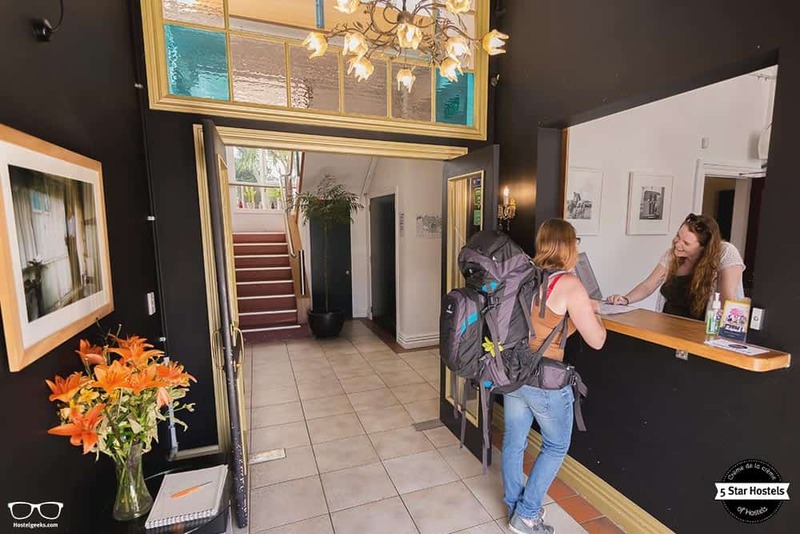 The Dwellington does not have to try hard, it’s a hostel that is sure of its identity. What it is not is a party hostel but a place to hang out, kick back and do as much or as little as you like. The vibe of this place is one of meeting up with old friends that you haven’t seen in while, catching up over a cuppa or putting the world rights over a cold glass of Sauvignon Blanc. The heart of hostel is the kitchen the modern and seek design is accompanied by a spacious area with ample storage both for dried and fresh food, endless countertop space to prepare your food there’s even a beer fridge! How can anyone dislike a hostel with a beer fridge (technically this fridge is not in the kitchen but still, a fridge just for beer?) Breakfast is complimentary at this hostel as is hot chocolate, tea, coffee and milk (both soy and dairy). 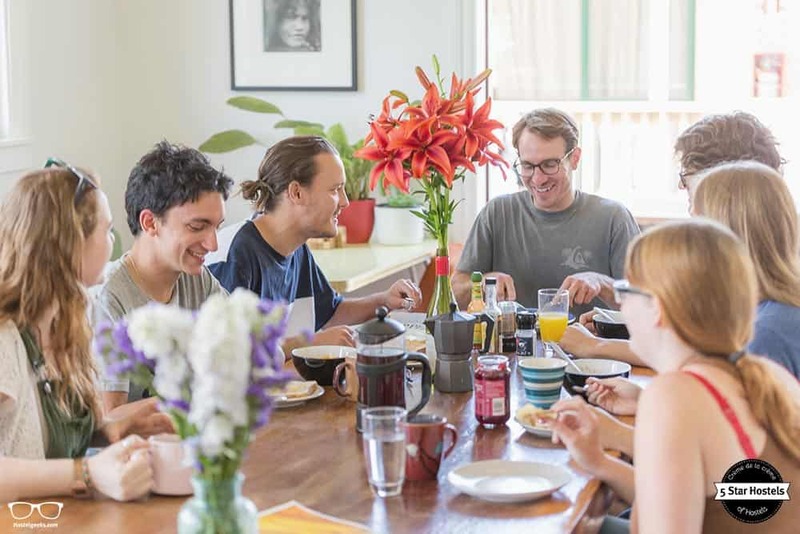 The overall design to the hostel is open, airy, light with natural warmth given by the use wood, rugs, plants and small finishing features like the cushions and artwork. 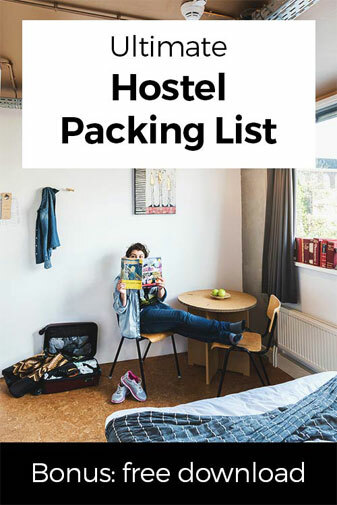 The white walls are awash with quirky focal art and photography, alongside the chunky furniture and neutral colour scheme gives this hostel a professional, charming, soft and homely feel. Midnight Expresso is the rocker of all cafes, opening at 07:30am and closing at 03:00am every day. This quirky joint has a wide range of food and drink with an extensive vegan and vegetarian menu (the veggie nachos are incredible). The Bristol hotel is a pool bar that serves cheap drinks, shows televised sporting events and has a band on every Thursday (mostly) get there early would be my tip if there’s a band or a sporting event as it gets really busy. Join a tour to explore microbreweries, drink great beer and eat sumptuous food. By the end of the tour, you will have tasted many craft beers from porter to pilsner and think you have died and gone to craft-beer heaven. James J Murphy’s (otherwise known as JJ’s) bar, this place is an Irish bar (of course an Irish bar made the recommendation list!). This place is next door to The Bristol Hotel and has a band on every Wednesday and Thursday however it is a great place to watch televised sport from the mighty All Blacks to the World Cup (football) if there’s a sporting event on regardless of the sport its likely to be on in JJ’s. One of my personal favourites is a cocktail bar called Crumpet; it is located next to the opera house. This is not the cheapest of bars but the bar staff will tailor make your drink to suit your taste buds alongside what takes your fancy. There is a coffee and bar snack menu available but for me it is the staff that make this little place, they are super friendly and they go out of their way to be helpful plus the music is great and the Wi-Fi is reliable. They say you cannot buy happiness, well who ever said that has never had a hot chocolate in Scopa. Take my advice, order a regular hot chocolate, the small one is just not enough but the large is well your future self will thank me when you don’t develop diabetes a regular one is just perfect. Wanna know more tips for the city? Just approach the reception desk and ask the team all you need to know. They know Wellington very well, and they can offer you personalized recommendations for the city. Travel insurance (of course!). Read our full review of World Nomads travel insurance. What to do in Wellington? There are plenty of activities to do in Wellington, and I am working on a full list so you can live the city at its fullest. Meanwhile, I just summarized some must do’s before laving Wellington. Experience Wellington through the eyes of a local on a 2.5-hour sightseeing tour. Discover the attractions and must-see landmarks of the vibrant city and get off the tourist trails. You might have heard, New Zealand people are called kiwis. The name derives from the kiwi, a native flightless bird which is a national symbol of New Zealand. Wanna see the famous bird in its real habitat? Then you must visit Zealandia. Zealandia is one of the best places in New Zealand to see the kiwi bird in the wild. I totally recommend you joining the tour during the night. Wanna experience those places and you are on a short on time? Then I recommend you spending the morning or afternoon visiting Middle-earth on a half-day ‘The Lord of the Rings’ tour from Wellington. 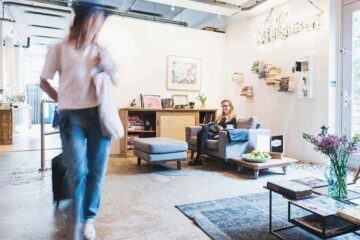 After this article, I am sure it is clear that the best hostel to stay in Wellington is The Dwellington. I hope that you like also the hints and tips, let me know in a comment below if you try any of the places mentioned here. Or even better, tag your pic with #hostelgeeks so we can all see them. Before we leave, here you have the backpacking travel essentials. Fancy a promo code for The Dwellington? Who doesn't?! Now, there is no easy way to say this: Currently we do not have a valid discount for The Dwellington. 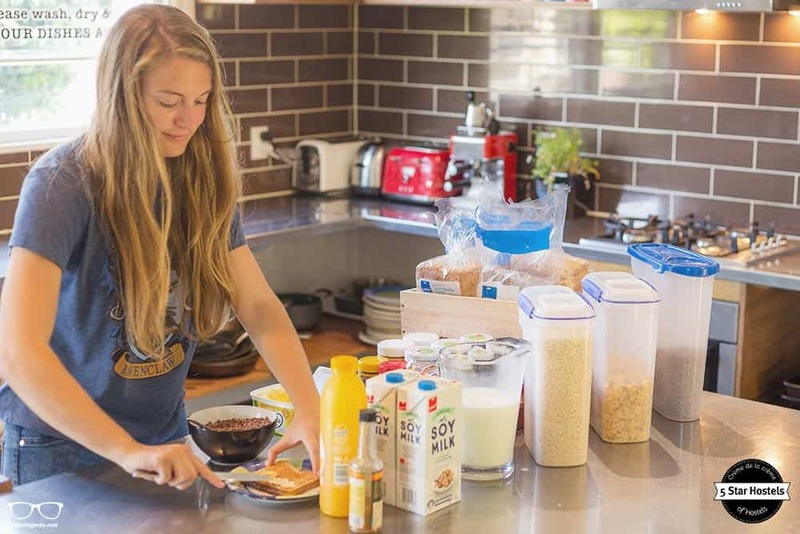 We are working on getting more promotional codes for The Dwellington in Wellington, New Zealand and all the other top hostels we reviewed for you. 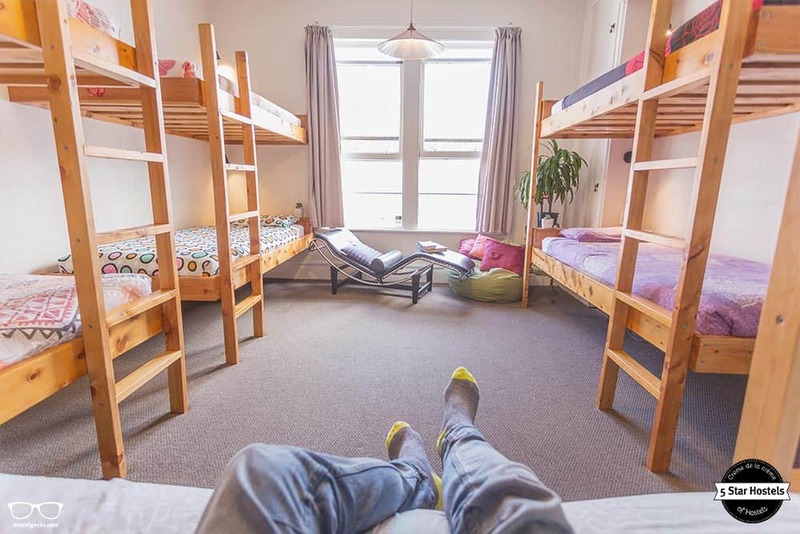 You were looking for the absolute BEST hostels in Wellington, New Zealand? You just found it! The Dwellington is the top place we recommend to our friends, family and to you! Update April, 2019: How to find flight deals to Wellington, New Zealand? Still looking for cheap flights to Wellington, New Zealand? We LOVE Kiwi.com. You can search here with a so-called "radius search". It is incredible easy to find sweet flight deals to Wellington, New Zealand and area.